Facebook is an online social Media website. Its headquarter is located in Menlo Park, California. United States. Facebook website www.facebook.com was launched on February 4, 2004, by Mark Zuckerberg with his Harvard College roommates & fellow students Eduardo Saverin, Dustin Moskovitz, Andrew McCollum & Chris Hughes. Initially facebook allowed membership for Harvard students, but later expanded it to colleges in the Boston area, the Ivy League, and Stanford University. FB was opened for everyone how is atleast 13 years old on September 26, 2006. Total active members of Facebook are 1.44 billion on March 31, 2015. Total employees 11996. How to Create Facebook.com Account? If you are minimum 13 years old then you can open an account. FB is not for kids anymore. The social networking site is one of the best popular sites in the world. 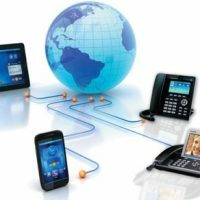 You should not missout this opportunity of easy communication platform. 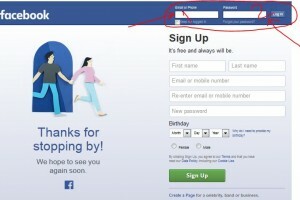 To create an account type facebook.com on address bar of any internet browser. 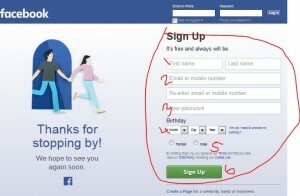 then you will see this kind of screen to create fb account. Add your first name and last name. Enter email address where you will receive confirmation email. again enter same email to avoid typo mistake. Enter your password, must be a strong password. Finally, Press ‘Sign Up’ button. You will receive an email to your email inbox, go to your email address and find the email which is from facebook, Click the confirmation link to verify your email address. Notes: Do not use any fake name, you must use your real full name. Enter your real birth date. These will help you to unlock your account if any thing happen in future. They will ask you to send your photo id to unlock your account. After completion email verification, you should add your real photo for your profile. Add a cover photo which is really remarkable to you. Keep mouse on the camera icon, you will see a text “add/update profile picture”. Click here to upload photo from your computer or laptop. Keep mouse on the camera icon, (top left on the picture), you will see text “add/update profile cover”, click here to upload big size cover photo for your profile. Then click update info button to save. enter your email or mobile number. Then click ‘Log in’ button. It will redirect you to FB home page. If you want to save any image from FB page you can not save the image from the profile page, you should open image view page to save. Click on the small image to open big size image with sliding view. Right click on the image, then select ‘Save Image as…’, it will show a window to save image to your computer. From the image view screen, you can edit image, to edit image click option button then select Edit to change image. You can share, like or tag photo from this screen also. You can create profile and pages without any charge. Getting likes or followers are free. Businessmen use this opportunity to expand their business to friends and followers. Group is another big advantage of FB which is use to share experience and ideas among the group or team members. Nomally all services are free for user, businessmen or organization. But facebook has an advertising tool for products and sevices promotion. It is very strong advertising module is widely using for getting likes, followers and comments from expected customes or user. Facebook Chat was added on April 6, 2008. It is a instant messaging application which allows FB users to communicate with friends on Facebook, FB messaging is working like instant messaging software. Facebook launched Gifts on February 8, 2007, which allows FB users to send virtual gifts to their friends and family member that appear on the profile. facebook.com user can buy a Gifts at $1.00, and a personalized message can be attached to each gift. On May 14, 2007, Facebook.com launched Marketplace or business module, which lets users post free classified ads. Marketplace has been compared to Craigslist by CNET, which points out that the major difference between the 2 is that listings posted by a user on Marketplace are seen only by users in the same network or interest users, whereas listings posted on Craigslist can be seen by anyone. On July 6, 2011, Facebook.com launched its video calling feature using Skype as its technology partner. FB allows one-to-one calling using a Skype Rest API. In September 2014, Facebook.com announced that it delivers 1 billion video views per day and that it would begin showing everyone view counts on publicly posted videos from users, Pages, and public figures. 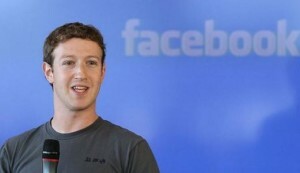 It also confirmed that it is recommending additional videos to facebook.com users after they have watched a video. Sixty-five percent of Facebook’s video views are coming from mobile where Facebook’s users worlwide. Facebook partnership according to 2012. Mark Zuckerberg: 28 per cent. Accel Partners: 10 per cent. Mail.Ru Group: 10 per cent. Dustin Moskovitz: 6 per cent. Eduardo Saverin: 5 per cent. Sean Parker: 4 per cent. Peter Thiel: 3 per cent. Greylock Partners: between 1 to 2 per cent. Meritech Capital Partners: between 1 to 2 per cent. Li Ka-shing: 0.8 per cent. Interpublic Group: less than 0.5 per cent. Facebook.com Earning – Revenue since 2004 in USA Dollar. Now a days, Its is a part of our life. We use FB to share our thought, experience with our friends and family members worldwide.